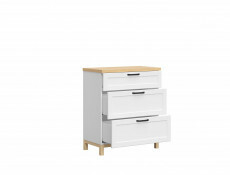 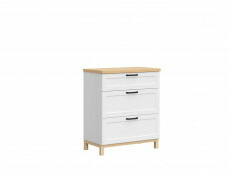 Scandinavian Style chest of drawers in White with Oak legs and top. 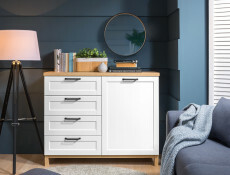 This 3 drawer chest captures the trend for Scandinavian interior style and offers quality finish and impeccable craftsmanship. 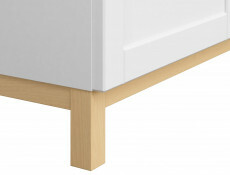 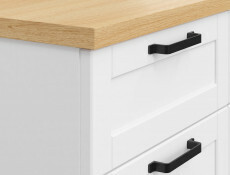 Soft close mechanism is fitted as standard and ensures your drawers open up / close evenly and silently. 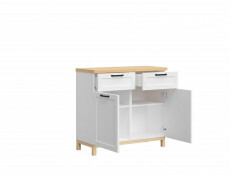 Size: 95 cm (H); 81 cm (W); 43.5 cm (D). 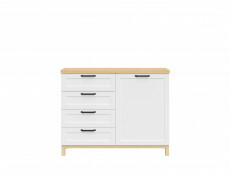 Scandinavian Style sideboard cabinet with drawers in White with Oak legs and top. 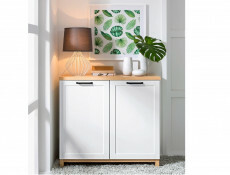 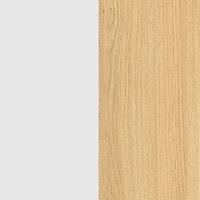 This Small 2 Door 2 Drawer Sideboard captures the trend for Scandinavian interior style and offers quality finish and impeccable craftsmanship. 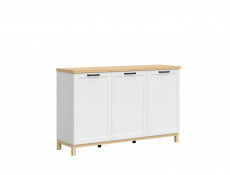 Large Scandinavian Style sideboard with 3 doors, in White with Oak legs and top. 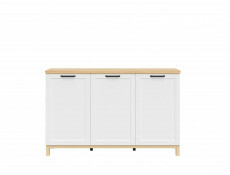 This sideboard cabinet captures the trend for Scandinavian interior style and offers quality finish and impeccable craftsmanship. 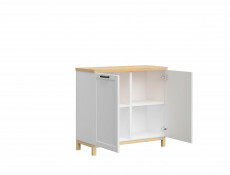 Size: 95 cm (H); 151 cm (W); 43.5 cm (D). 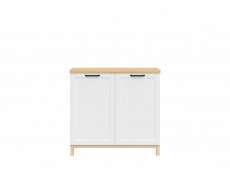 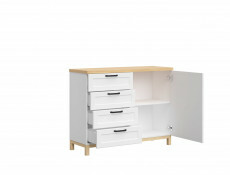 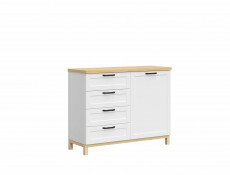 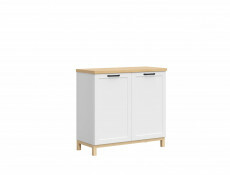 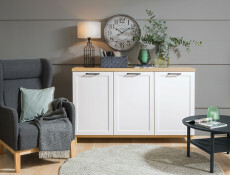 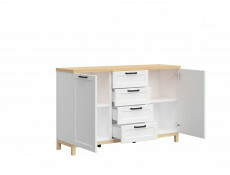 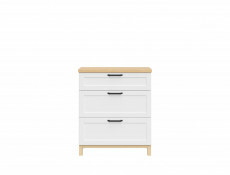 Scandinavian Style contact sideboard cabinet with drawers in White with Oak legs and top. 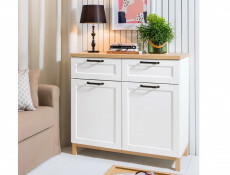 This Small 1 Door 4 Drawer Sideboard captures the trend for Scandinavian interior style and offers quality finish and impeccable craftsmanship. 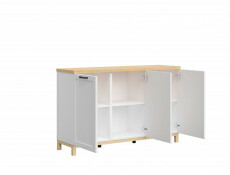 Size: 95 cm (H); 121 cm (W);43.5 cm (D). 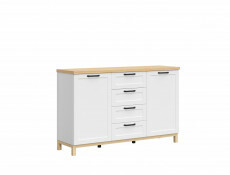 Large Scandinavian Style sideboard cabinet in White with Oak legs and top. 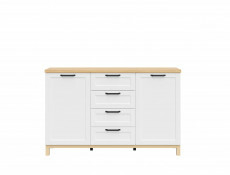 This 2 Door 4 Drawer Sideboard captures the trend for Scandinavian interior style and offers quality finish and impeccable craftsmanship.